Knit/Crochet “photo a day” project… starting soon! Posted in crochet	by Giulia P.
Have you ever heard of the “photo a day” project? Well, stay tuned, cause this blog is going to host a knit/crochet themed version in March! In case you are curios of what this is all about, check this website for more infos. I have selected some knitting/crocheting themes, plus some more general ones. It’s going to be a one time only project, I don’t mean to do it every month 🙂 but I thought it could be fun! So please… SPREAD THE WORD! I’m going to post more detailed infos soon, but in the meantime please share, tweet, reblog, tell your friends! 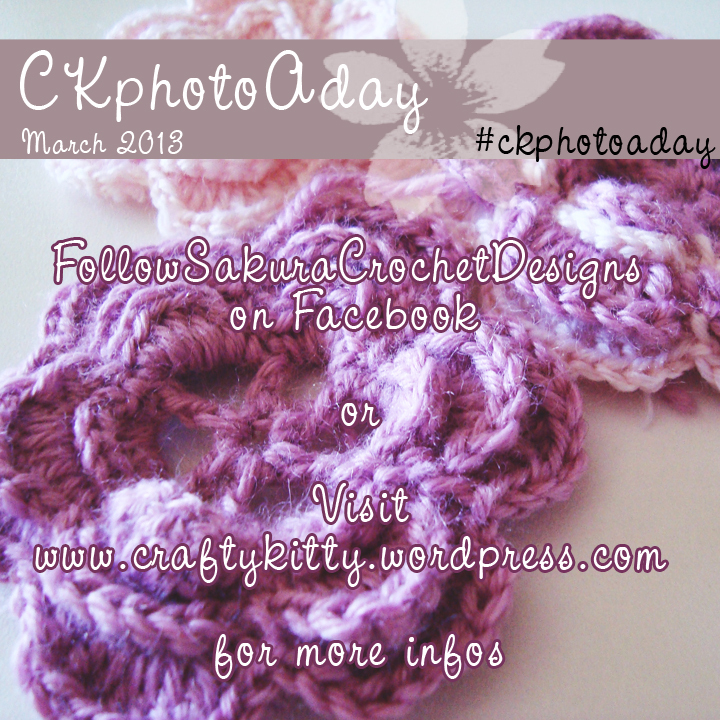 JOIN THE CKPHOTOADAY GROUP ON FACEBOOK! « Pattern of the week: thinking of… stripes and cardi’s! What a great idea! I’ll be waiting for your info eagerly to see how it’s done. I’ve got too many things going on right now for a crochet/knit photo a day (unless you don’t mind seeing the same WIP everyday with one or two rows added), but I like the idea. Thanks for the like and visit on mine. I’m about to post some more infos in a few minutes, together with the themes, since we’re starting tomorrow! I’m glad you’d like to participate and please spread the word if you can! thanks!